Hell yes. 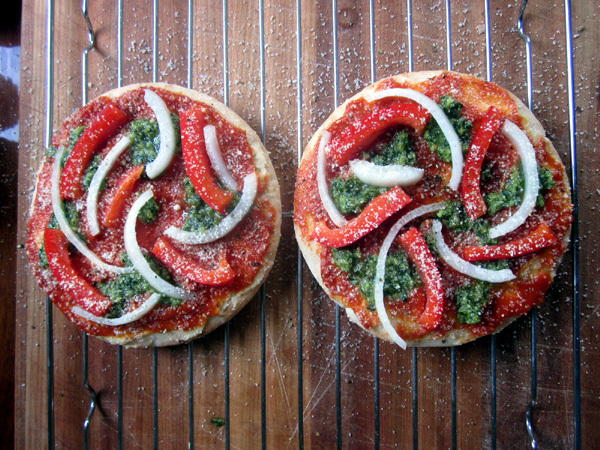 These quick pita pizzas have been a staple in our house for a long time. Pitas make great lil pizza bases. Our friend hummus is used here as a pre-base sauce, helping to keep them nice and moist. 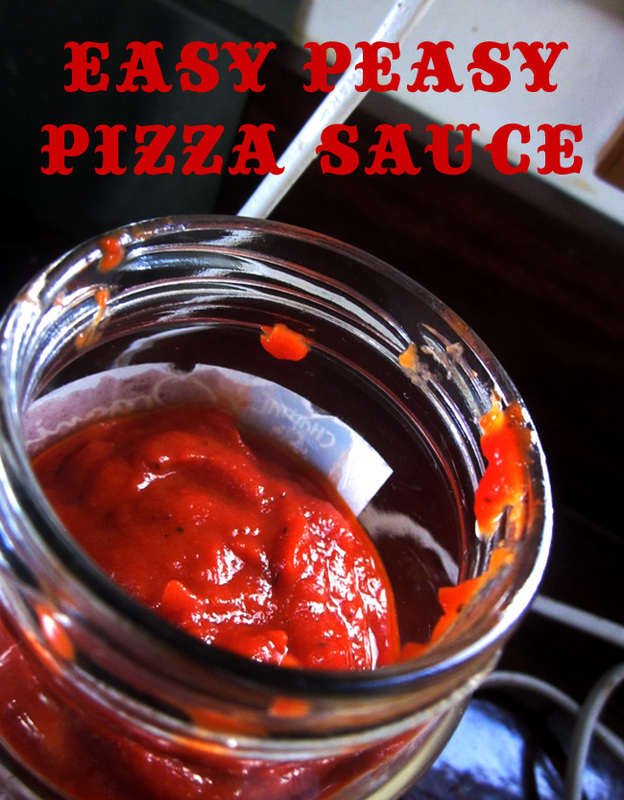 The yummy, thick base sauce is a ridiculously easy, no chopping required recipe that will make much more than is needed for the several pitas that are called for here. Reserve the rest for any near future pizza making, or lazy pasta emergencies. 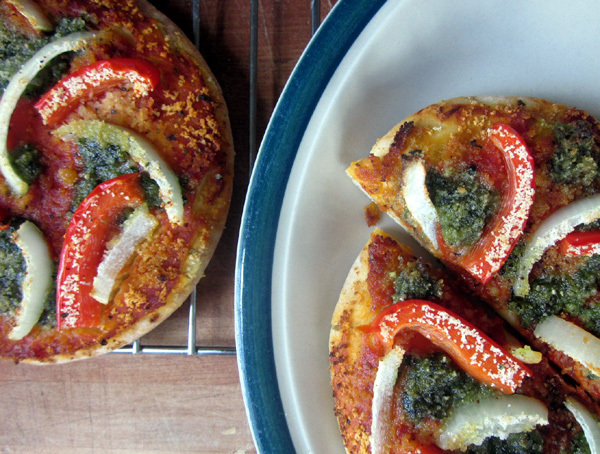 Some might raise an eyebrow at the idea of dairy free pesto and those people are missing out. As always, removing the dairy let’s the fresh flavours shine their brightest! 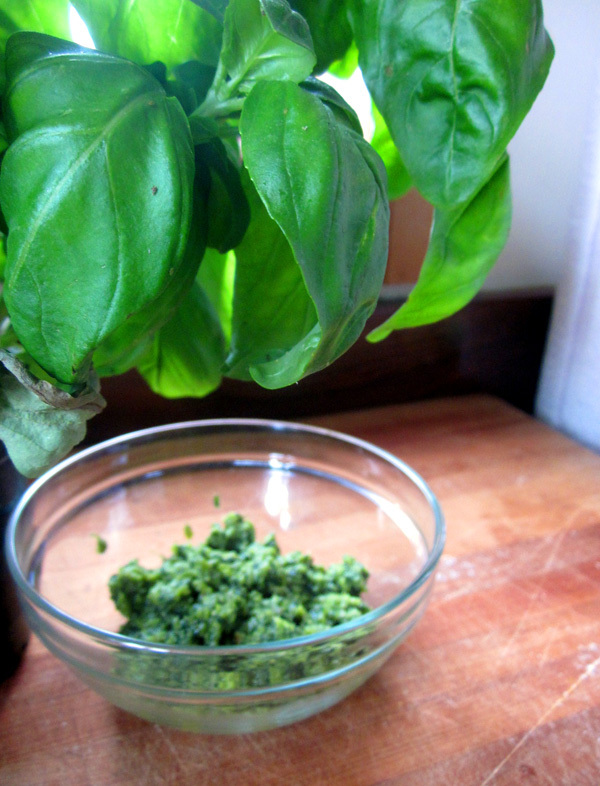 There are few things as wonderful as freshly homemade basil pesto, and down here in NZ it is just the right season for picking up luscious, fragrant pots of basil from the local markets and supermarkets. Ideally, prepare the pesto the night before you use it. Letting it sit for a while will develop the flavour in a wonderful way. 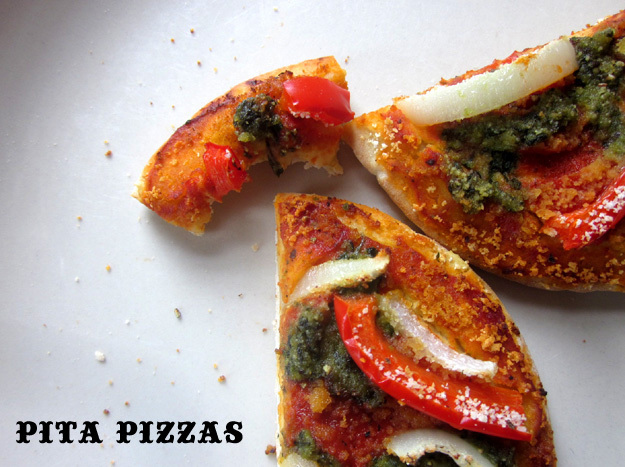 To enable easier dolloping and spreading action, sit your pesto at room temperature to let the oil warm a little. If you pre-prep the pizza sauce as well, when it comes to pita pizza making time, they will come together in a flash. When it comes to toppings, less is more. This is one of the keys to awesome pizza. Piling your toppings on can lead to sogginess and sad pizza times; resist the temptation! Also, don’t feel beholden to my particular choices – sub. in your favourites, or experiment and try some new combinations that you are curious about. There are so many other options that you could choose from: fresh tomatoes, pineapple pieces, olives, sundried tomatoes, cooked beans – whole kidney and cannellini beans work well; ditto any kind of refried beans – mushroom slices, chopped asparagus, garlic cloves, corn kernels, capers, diced avocado, zucchini sticks, thinly sliced roasted potato with fresh rosemary, cashews. Gently heat olive oil in a small saucepan, for around 15 seconds over medium-low heat. Add sage and oregano, stirring until herbs begin to sizzle a little. Add remaining ingredients and mix well. Reduce heat, cover and cook, stirring occasionally, until liquid is reduced and thickened, around 25 minutes. Set aside to cool. Once cooled, blend pizza sauce. Spoon into a lidded jar and set aside until needed. Leftovers keep well, refrigerated, for a week or so. Add all ingredients to food processor and pulse until mixture is combined into a life-giving pesto-y thickness. 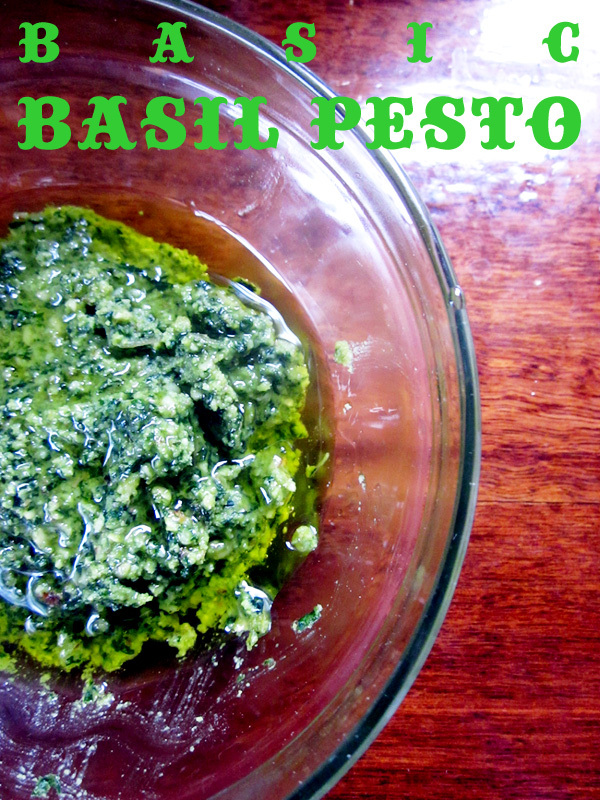 Spoon pesto into a small jar with a sealed lid and top with a thin layer of olive oil. Refrigerate for an hour or more to give flavour some time to settle. Place four pitas on a couple of baking trays or cooling racks. Spread each with a thin layer of hummus, followed by a thicker layer of pizza sauce. Dollop and gently spread a teaspoon or two of pesto on each half of every pita. Then, add onion and capsicum, and an even scattering of olives. If using faux parmesan, now is the time to sprinkle some on top. Finish with a crack or two of fresh black pepper. Bake for 10 – 15 minutes, until pizzas are hot and beginning to brown. * My fellow NZers can grab a delicious vegan parmesan, made by Bellisimo, from Commonsense Organics; it’ll set you back around $5 which is a super sweet deal.